8-inch Nexus for spring, anyone? Having apparently squeezed every drop of potential sales out of 7-inch tablet, a rumor straight from Google's supply chain claims the 2014 model will attempt to woo consumers with a slightly larger screen. DigiTimes as the word that Google and Asus are eyeing an 8-inch display for the third-generation Nexus tablet, which could arrive in late April. Although the partnership has produced two critically acclaimed Android tablets using a 7-inch screen, the report claimed last year's second-generation Nexus 7 sold fewer than three million units by the end of 2013. Those so-so sales figures are being blamed on "intense price competition" in the 7-inch tablet market, which is typically more price-sensitive than 10-inch models such as Apple's iPad Air. According to the unnamed sources, an 8-inch Nexus tablet also has the potential to offer a competitive edge against a growing segment of larger smartphones. The report claimed that 5- and 6-inch phablet-style smartphones as encroaching on the Nexus 7's market share, forcing Google to broaden its screen reach to gain back sales. We don't doubt Google will adjust the tablet's name to reflect the new measurement. 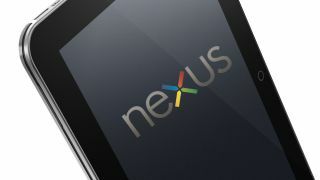 If the April launch window proves true, it means the Nexus 8 is right around the corner. One thing apparently won't be changing: Google and Asus will remain partners for this year's model, despite recent speculation to the contrary. Speaking of phablets, check out our review of the new Samsung Galaxy Note 3!